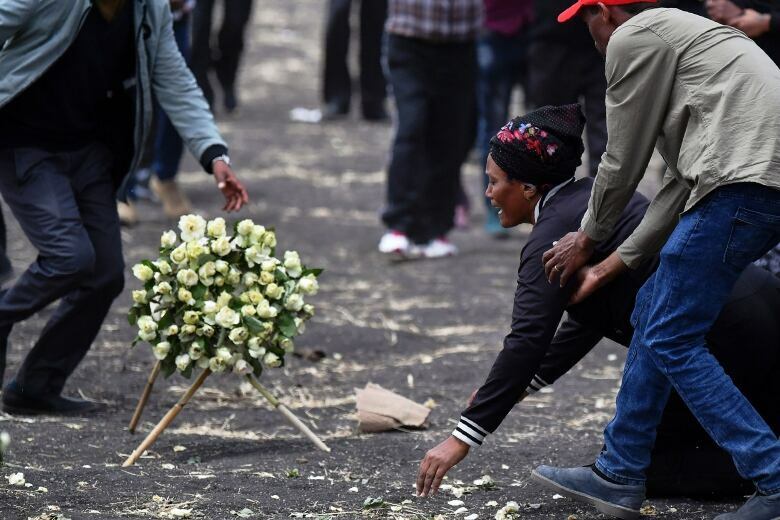 The crew of the Ethiopian Airlines jet that crashed six minutes after takeoff last month performed all procedures recommended by Boeing when the plane started to nosedive but could not save it, according to findings from a preliminary report released Thursday by Ethiopia’s government. Investigators are looking into the role of a flight-control system known by its acronym, MCAS, which under some circumstances can automatically lower the plane’s nose to prevent an aerodynamic stall. The plane has been grounded worldwide pending a software fix that Boeing is rolling out, which still needs approval from the Federal Aviation Administration and other regulators. The Ethiopian Airlines jet crashed shortly after takeoff from Addis Ababa on March 10 killing all 157 on board, including 18 Canadians. Ethiopian investigators did not specifically mention the MCAS, but recommended that Boeing review “the aircraft flight control system related to the flight controllability.” They also recommended that aviation officials verify issues have been adequately addressed before allowing the planes to fly again. Investigators could not yet say whether there is a structural problem with the plane, Reuters reported. “We will analyze whether other problems were existing on this aircraft,” Amdye Ayalew Fanta, the head of the investigation, told the news conference, adding this would take between six months and a year. In a statement Thursday, Ethiopian Airlines said its pilots followed Boeing instructions. “Despite their hard work and full compliance with the emergency procedures, it was very unfortunate that they could not recover the airplane from the persistence of nosediving,” the airline said. Boeing is the focus of investigations by the U.S. Justice Department, the U.S. Transportation Department’s inspector general and congressional committees. Investigations are also looking at the role of the Federal Aviation Administration in the U.S., which certified the Max in 2017 and declined to ground it after the first deadly crash in October. “As we learn more about the accident and findings become available, we will take appropriate action,” the agency said. The statement did not say if the FAA would review the Max’s flight control system, as recommended by Ethiopian investigators, and FAA spokesperson Greg Martin would not comment beyond the statement. Boeing is working on improvements to the MCAS software that would make it less aggressive in pointing the nose down and easier for pilots to disable. The FAA has said it will review the software before allowing the Max to fly again. But it wasn’t clear whether the Ethiopians are seeking just that or a broader update in the Max’s flight controls. What also isn’t clear is whether the Ethiopian pilots followed Boeing’s recommendations to the letter in dealing with the system repeatedly pointing the nose down. The pilots initially followed Boeing’s emergency steps by disconnecting the MCAS system, but for an unknown reason, they turned the system back on, an official familiar with the crash investigation told The Associated Press on Wednesday. The official spoke on condition of anonymity because at the time, Ethiopian investigators had not released their preliminary report. Boeing’s procedures instruct pilots to leave the MCAS system disconnected and continue flying manually for the rest of the flight. 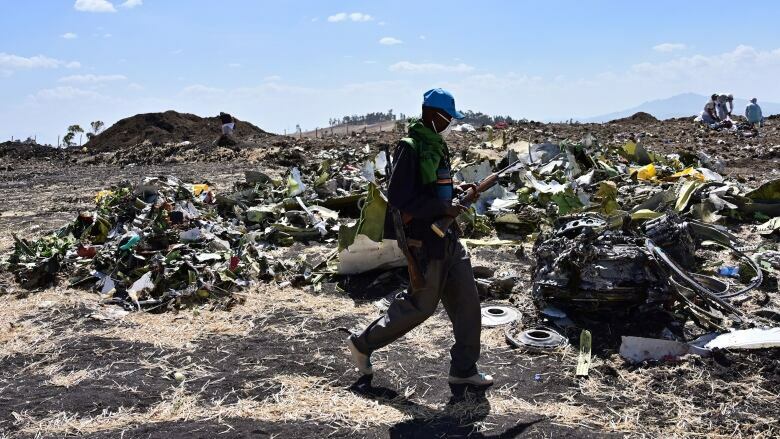 Ethiopian investigators did not address that issue at a news conference to release the preliminary report, saying only that the pilots had done what they were supposed to. “The crew performed all the procedures repeatedly provided by the manufacturer but was not able to control the aircraft,” said Minister of Transport Dagmawit Moges. However, Moges told the New York Times after the news conference that the pilots turned MCAS on and off, but she couldn’t say how many times. That will be addressed in the final report, she said. “What is special about this case is that two crashes seem to have a very, very similar reason. This is something that is very rare in aviation. The question is whether the Boeing 737 Max should have been grounded after the Lion Air crash and before the Ethiopian Airlines crash,” said Hasse. “If pilots sit there and follow the rules that have been given to them by the manufacturer, then they should be able to rely on the fact that they are correct,” Hasse said.